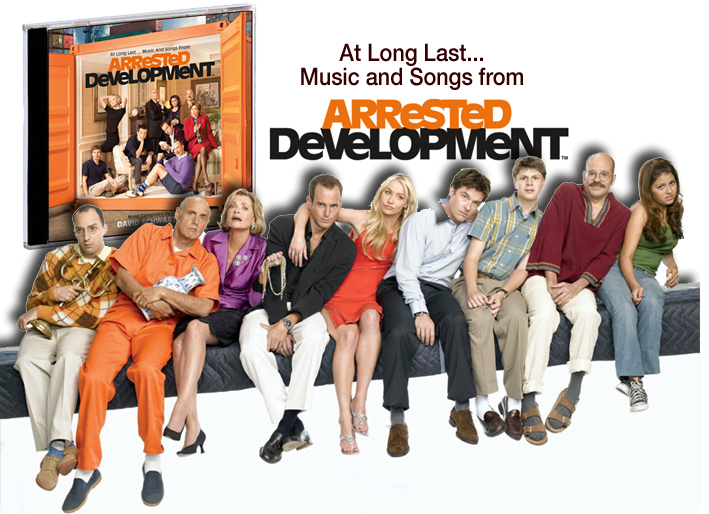 Varèse Sarabande Records to release the Arrested Development Soundtrack. Original Television Soundtrack digitally and on CD on November 19, 2013.
of the original series, composed by Emmy® nominee David Schwartz. four seasons of the show, with a heavy dose of the original madcap songs and its signature ukulele tunes. Schwartz based on fan requests through the years. Arrested Development follows the wildly eccentric and entertainingly dysfunctional Bluth family. Tobias (David Cross) and their daughter Maeby (Alia Shawkat). exclusively on Netflix on May 26, 2013.
and the Writer's Guild, among others. Amazon Germany and Varèse Sarabande Records.